These high tech braces are small, comfortable, and very efficient. Because of their sophisticated design, teeth are free to move faster and more easily. and gums will be healthier. Also available are Radiance Translucent. They are most popular with adult patients, due to their cosmetic appeal. 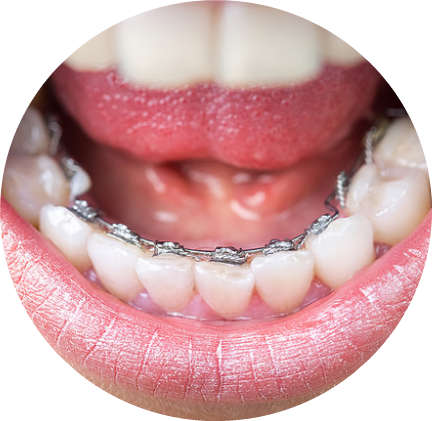 The only drawback to translucent brackets are that they are more fragile, and the elastic ties can discolor between orthodontic visits. Small, translucent brackets for improved appearance and greater comfort. Incognito™ from 3M Unitek is the complete solution for invisible orthodontics. 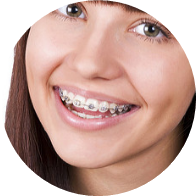 The braces are placed behind your teeth so visibility is minimal. They are custom made specifically to fit the shape of your unique teeth, this makes them as comfortable and effective as possible. 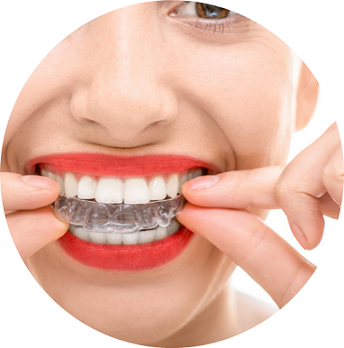 Invisalign straightens your teeth without wires and brackets, using removable appliances called aligners. It's virtually undetectable, which means hardly anyone will know that you're straightening your teeth. Clearly Different....The Invisalign system combines advanced 3D computer graphics technology with the 100-year-old science of orthodontics. Invisalign aligners are designed to move your teeth in small steps to the desired final position prescribed by your orthodontist. As you replace each aligner with the next, your teeth will begin tomove gradually—week-by-week—until the final alignment prescribed is attained. Then you'll be smiling like you never have before.